Everywhere in disturbed ground, including filled land, vacant lots, clearings; roadsides and railroads; shores and open banks. Quickly forms dense stands in forest clearings (after logging or other activity). Reported by the First Survey and first collected in 1843 (at an unspecified locality); by the 1860’s a well known weed essentially throughout Michigan. 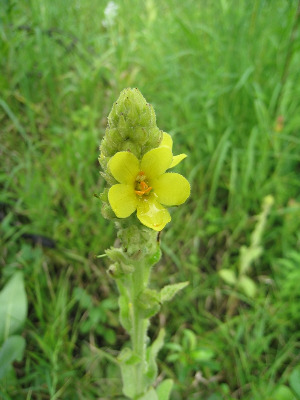 A familiar tall weed; the densely flowered inflorescence produces a thick rod-like spike of fruits, which often lasts through the winter. The first-year rosettes of densely felted leaves are also well known to all field botanists. MICHIGAN FLORA ONLINE. A. A. Reznicek, E. G. Voss, & B. S. Walters. February 2011. University of Michigan. Web. 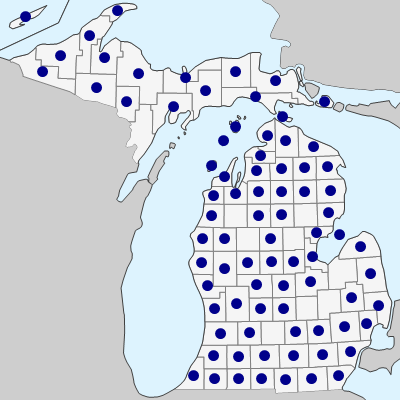 April 24, 2019. https://michiganflora.net/species.aspx?id=2682.